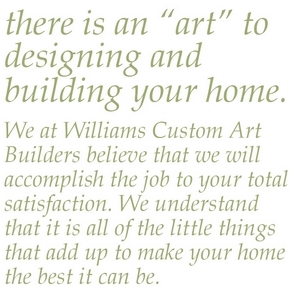 “Williams Custom Art Builders built my first home in 1989 and my second home in 2003. That pretty much says it all! How many people are happy enough with a home builder to have their second home built by the same builder? The attention to detail is unmatched by other builders. Both of my homes are raved about by our friends. A doctor friend of ours calls our home the gold standard. He says it is the best home he has ever been in. Our family loved our first home so much that our son bought it from us. Our second home was recently struck by lightning, causing multiple areas of damage. Steve Williams is coordinating our repair efforts. He is committed to making it as good as new. 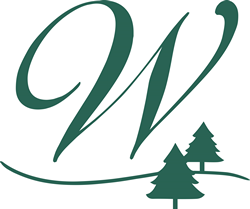 I would recommend Williams Custom Art Builders to anyone wanting the very best in a new home or remodel.” – Charles Pritchett, D.D.S., M.S.D.